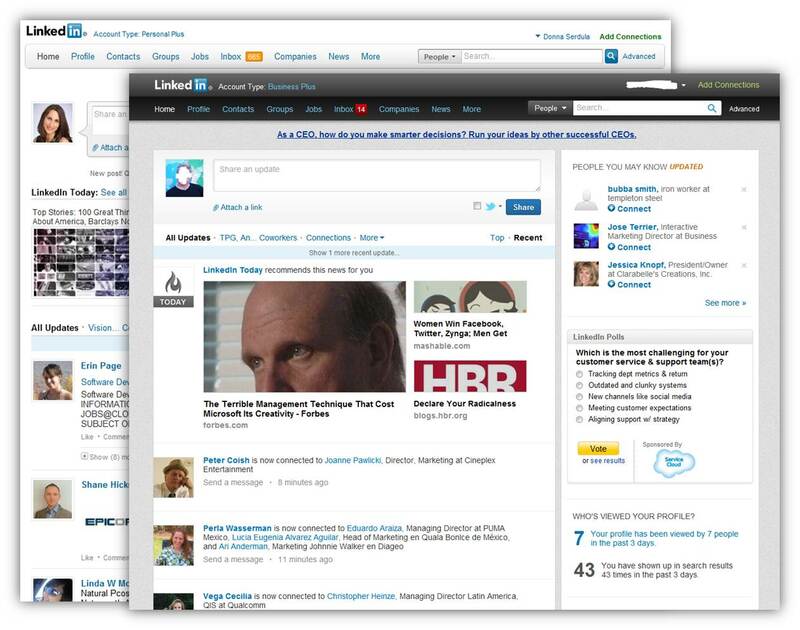 The LinkedIn Contradiction: A Social Channel? I think LinkedIn is having a bit of a crisis of identity. It’s driven by the search algorithm that impacts on search results and matching, and the way in which connections are encouraged, and the way LinkedIn rules apply over invites to connect. I think it is part of the struggle the channel has with itself over weather they are a social network or a professional network, or if the two are really any different. There is a constant battle over features and functions between the big 4 social networks, Twitter, Facebook, LinkedIn and Google+. (I see YouTube sitting outside of this.) with each trying to find it’s place. No one channel can be all things to all users, and each has its place in the mix. Facebook applications are moving in to professional networking in a big way. This week Glassdoor.Com, the employer review site launched an app that links reviews, jobs and connections, (more about that later this week,) BeKnown from Monster, BranchOut, Indeed, BraveNewTalent and others. These apps overcome the Facebook barrier,in that users can connect with employers and view jobs without needing to connect with their personal accounts, or show anything that they would rather keep hidden. Facebook users have responded by adding professional details to their profiles and interests, in numbers. 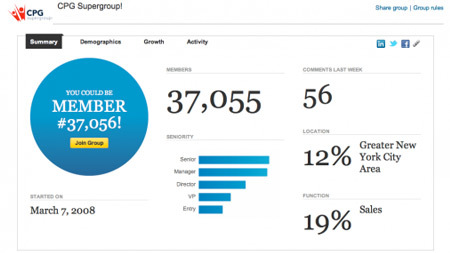 It’s a big play on the LinkedIn space when you consider the difference in user numbers. With changing attitudes as to Facebook as a professional as well as a personal channel, there’s a real battle on for recruiter attention and spend. There’s also the difference of time spent in the channels by users which is significantly different.This becomes important when you are considering the best place for a P.P.C. campaign. When there’s a fight for dollars, it is understandable why LinkedIn are looking for new ways to be social. More of the applications and functions are making it easier to communicate via LinkedIn, without ever going in the channel.You can e-mail direct to groups or respond to messages, post using applications like LinkedIn jobs insider, and updates from Tweetdeck, Hootsuite etc. These all lead to more time out of the channel by the users, with even less interaction. Any good sourcing trainer will show you that the search results that can be achieved by searching LinkedIn via Google, Bing or other search engines rather than LinkedIn’s own search engine, gets more comprehensive results, and you get to see the full profile. Theres less reason to log in to LinkedIn as it gets easier to communicate from the outside, so is LinkedIn still working, and what do the users want from the channel? This post isn’t intended to be a LinkedIn v Facebook post. Both channels have their place in the recruiting mix. My question is over the contradiction between how LinkedIn reward users with larger networks with results, and the way LinkedIn invites work. To get the most out of the channel, bigger is better. The more people you are connected with, and the more groups you belong to, the higher you come up in searches, the more jobs you get recommended to and the more people get recommended to follow you. While it makes sense to focus your connections on your area of recruiting, you want to connect with as many people as you can in your niche, because this returns you in more searches and more recommendations. LinkedIn however, don’t see it this way, and I think they should. The twitter factor changed the way people are willing to connect. Before Twitter, networks were largely personal and connections were known. More of a means of keeping in touch or reconnecting, and then Twitter came along with its 140 character messaging, and the opportunity to follow anyone you wanted without the need to be known or accepted. The users liked this type of networking, and began to follow people in large numbers regardless of geography or relationship. New friendships got made through following and conversation, with no previous relationship, and most people liked that. This new attitude to connecting switched to other channels. Even Facebook, which had very much been the personal channel, made it easier to find people and accept their friend invites. Whilst there was the opportunity to report people you didn’t know, this mostly didn’t happen. Both Facebook and LinkedIn responded by repeatedly suggesting “people you might know” to send invites to. This was based on groups you belonged to, companies you had worked for, or shared connections with those you were connected with. At the same time, the way in which invites were accepted changed. Despite what the “LinkedIn experts” might say, non-personalized invites with the standard text, were far more likely to be accepted than the ones where you try to justify an invitation. The most successful invites are where you have a shared group, hence the benefit to joining all 50 groups you allowed.This is why many people belong to groups, and when they do comment, it’s via e-mal rather than from within the group. Whilst groups are seen as the most social part of LinkedIn, I don’t really see this. I looked at 6 of the groups I belong to at random. The combined membership of these groups is around 70,000. There were 266 discussions posted, which attracted a total of 106 comments, less than 0.5 per discussion. The comments figure was 90% from 1 group, Boolean Strings, which bucks the trend. These numbers tell me that they are largely inactive, and mostly noticeboard for posts. The ease of posting in multiple groups encourages the practice of posting, without visiting. This is not all bad however. LinkedIn remains the highest referrer to my blog, and this comes from shares via groups, or reads from groups. (Taking in to account the e-mail update effect.) This tells me that on the most part, users are choosing to use groups in this way. It’s effective for posting, audience and reach, but can it really be considered social, when there is very little engagement? My view is that LinkedIn should forget about trying to be social, and look how the users use the platform. It’s a notice board, from updates to group postings, and is effective in this way. users should note the same to get the best out of the channel. There have been plenty of occasions where I’ve considered that LinkedIn can’t be working for me because I’ve not been getting engagement, but then I’ve traced back business to either being found or seen in the channel. As a notice board, and largely a broadcast medium it works because the audience is targeted, and see notifications in their in box. The key to getting read is headline, (think writing for twitter), as most group updates are received and opened in this way. An occasional update catches the reader’s attention and tempts them to explore further. When you accept an invite, or get an invite accepted, LinkedIn suggests other connections you might know based on this. The encouragement is to connect where there is relevance, even if there is not a relationship, and I would recommend this, in the same way as I would recommend looking at the section on a profile that lists the “People who looked at this profile also looked at …”, and to take a look for yourself for relevant connections, if nothing else, you can always follow them on twitter. Company pages show who you are connected with at a company, and who works there that you are not connected with. This encourages sending invitations to potential contacts at companies you want to make friends with whatever the purpose. I know you can send requests for introductions through people you are connected with, but judging by the number I receive (a handful in the last 3 years), and the number I have sent out (maybe 3), I’m guessing this is not really used by others either. I’m far more likely to look if we share a group, then send off an invite based on this. I don’t list myself as a friend, colleague or having worked together (unless I have. ), though I receive plenty of invites each day from people who claim this. It doesn’t really concern me, and must be working or people would stop doing it. I’m quick to disconnect with anyone who spams me, however. The second message is far more important than the invite. Whilst the “I don’t know” function has been removed, to make reporting and suspension less likely, users are still encouraged to report violators, with the threat of either suspension of account, or only being able to send invites where you know the recipients e-mail address, and it matches the e-mail address on the LinkedIn database, recorded at registration. This is an area I think LinkedIn should take a look at, considering how users are connecting, moving to open rather than restricted networking. Remove the conditions, and leave the choice of the type of invites users want to receive with the users. Users should be able to choose at sign-up the types of invites they want to receive, leaving the choice in their hands. On a personal note, I don’t want to discourage anyone from connecting with me, and neither should LinkedIn. > 45% came from direct sourcing from LinkedIn where the recruiter initiated the approach. most had a LinkedIn recruiter account and felt it was effective. > 19% came from PPC advertising. (In particular the ad featuring the picture from the profile in the “work here” ads) seem to have been very effective. The PPC results show that this is an option that should feature highly on the list of considerations. Similar to the approach that should be taken by advertisers using Facebook PPC, the strategy should be multiple ads, segmenting the audience according to key words,location and skills, changing text according to the target group. The lower the target audience, the lower the PPC cost, and the more relevant the ad and response. Think sniper approach rather than shotgun! Moving forward, particularly as companies look to enable mobile applications or simple sign up, a LinkedIn profile will become the most likely source of information. The new referral engines from companies like Bullhorn Reach and Work4Labs actively find matches from LinkedIn. I expect this trend to continue, with more third-party apps looking to reference LinkedIn data as the main source of professional career information, and this is where the company should be concentrating their efforts, perhaps charging the apps for accessing the data, and finding new and innovative ways to make user profiles more accurate. The update and missing data notifications to users made a big difference to users adding data. The 100% completion notification needs to be looked at to bring it up to date. At the moment this does not include the skills sections etc and misleads users in to believing they have a fully complete profile, and it has been out of date for some time. With the importance of the skills section to the matching/search engine, users need this fixing to get the best out of the channel, and the users should always come first. If you’ve made it to the end of the post, thanks for baring with me. My conclusion is that LinkedIn is not really a social channel, it’s a very effective notice board and directory of talent. This is the function I’d like to see the channel build upon moving forward. I think there is potential to add some other user functions, like Skype calling or instant messaging, to make direct connecting easier. I’d also like to see the “rules” on connecting relaxed to reflect user practice rather than a dated notion on how people network. The LinkedIn tracks at #trulondon will feature super users, trainers and recruiters Jacco Valkenburg, Jonathan Campbell, Mark Williams and Gordon Lokenburg, covering a range of LinkedIn topics. You should join the conversation!